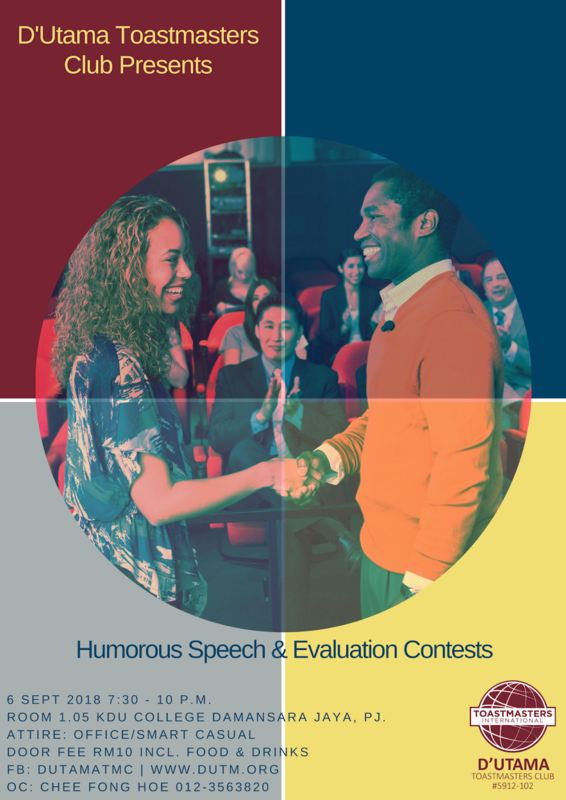 Our Humorous Speech & Evaluations Contest! Come September 6th 2018, we will be having our Humorous Speech & Evaluations Contest. Do join us and vote for the next Funniest Man/Woman In The World! Please contact Chee Fong Hoe at +60-12-3563820 for more details. Palash Ray will be our Toastmaster of the Evening come 16 Aug 2018. Let's create some awareness with your friends and have fun in the process. See you there! 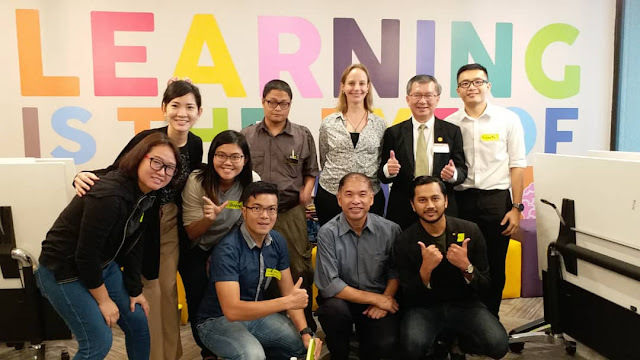 Our recent Club Officer's Training was held at Gamuda Learning Centre courtesy of the Gamuda TMC who also happens to host Division D Kahuna Aaron Chan (the thumbs up guy in the pic below) - Thank you for your generosity and leadership. DUTM TMC Officers turned up in full force for this training and we all had a fun time learning our roles and responsibilities as well as making new friends. 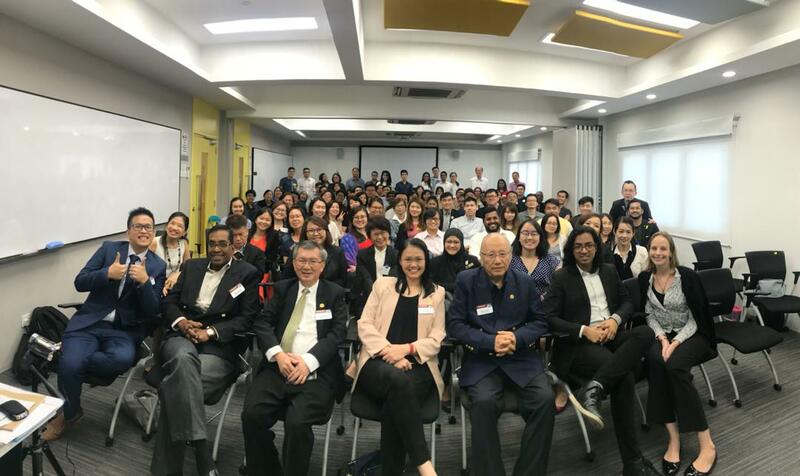 Taking up office allows you to the opportunity to expand your horizons further and then some. Talk to us if you want to know more. Ladies and gents. This is a looong but super informative infographic. Use it well in your speeches. 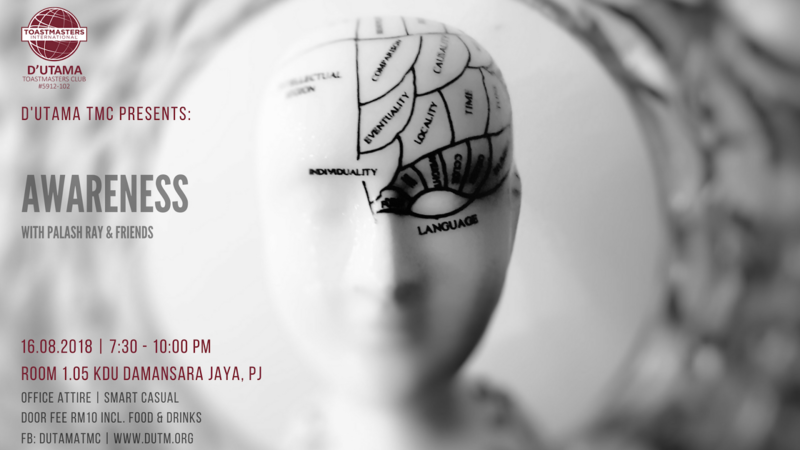 Click on this link to download the image - Expert's Guide to Body Language In Public Speaking.